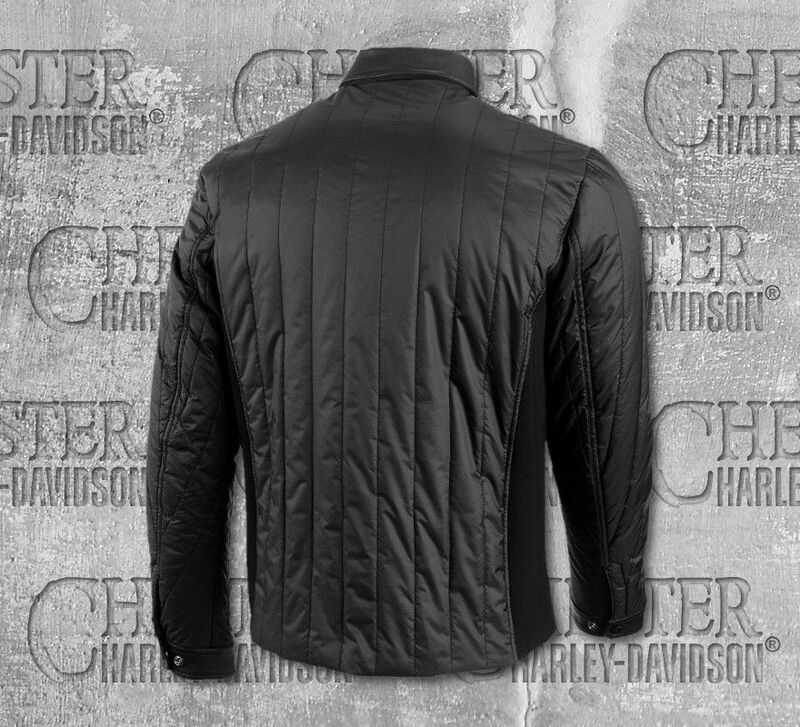 Harley-Davidson® Men's Cordura Ripstop Slim Fit Shirt Jacket is made from 100% Cordura® ripstop. 72% rayon, 22% nylon, 6% spandex compression knit sides. Washable goatskin leather trim, and polyester lining. 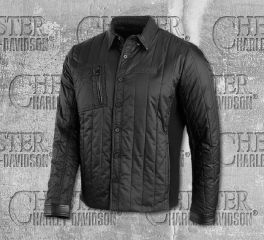 It features a snap hand-warmer pockets, zipper chest pocket with tire gauge slots, two interior stash pockets, snap front and cuffs, and embossed leather patch. Slim Fit—fits closer to the body.